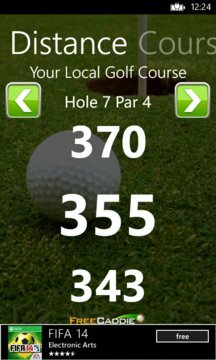 FreeCaddie is the completely free golf GPS rangefinder for your Windows Phone! 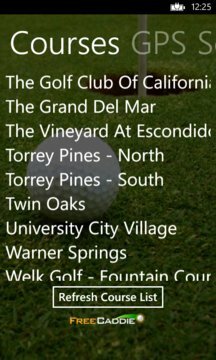 Get the distance to the front, center and back of every green on all of your favorites golf courses. FreeCaddie is simple and easy to use. Over 30,000 courses are mapped worldwide.